and begins at 5:30 PM, with ESPN carrying the action until its conclusion. can assign your seat to someone on the media waiting list. to all media, who should make their own way to this area following each bust-out. • Video is permitted to be shot of bust-out interviews with no limits/restrictions. limited to 5 minutes of b-roll per day. This footage may not include hand-for-hand play. • No flash photography is allowed on the stage where the final table is being contested. • Limited flash photography will be allowed when shooting the crowds/audience. • Still photographers should bring appropriate lenses to shoot from long distances. authorizing stage access, will have his or her credential revoked. rights to future WSOP events. nine players after seven playing, and ten calendar days on Tuesday, July 16, 2014 at 12:51 a.m.
Velador finished in 10th place, earning $565,193. on July 15 ($730,725), therefore only the top eight finishers will collect more prize money. Level 36 will feature blinds at 250,000-500,000 with a 50,000 ante. 100,000 and 250,000. A 500,000 chip is also expected to be used during the final table. Levels are 2 hours. Play commences on Tuesday, November 11 at 5:30 p.m. and plays to a winner. or their ticketed seats will be put back in general admission pool. • 4:00 PM – Media Credential Pick-Up Ends. • 4:30 PM – Taping begins. *If necessary. Play ends for the day when only 2 or 3 players remain. • 5:35 PM – Cards in the air. Breaks at the end of each level. Break times 10 minutes. will be utilized as part of show. • 30-minutes following the end of play: Interviews with winner and runner-up in Lobby. the equipment that must take place. Please plan accordingly in advance. Starbucks outside Penn & Teller Theater. Media interested should connect with Seth. IF PLAYER DOES NOT PLAY FOR ANY REASON, WAGER IS NOT REFUNDED. ALL HOUSE RULES APPLY. WHERE: The Penn & Teller Theater at the Rio® All-Suite Hotel and Casino in Las Vegas, NV. 8:00 PM ET/5:00 PM PT. Coverage continues until 2 players remain. ESPN will carry coverage of the finale on Tuesday, November 11th at 9:00 PM ET/6:00 PM PT. payout for 693rd place was $18,406. Players from 87 different countries participated in 2014.
be in Seat 5 with Larrabe and Tonking will be the big blind in Seat 6. PM ET and the finale on Tuesday, November 11 at 9:00 PM ET. PM ET and continue until two or three players remain. All the coverage will be on a 30-minute delay and feature hole cards. produced by Poker Productions, headed by Mori Eskandani and Dan Gati. Cingari in the ESPN Communications department. achieve the above revised payouts. additional interest was added to first this year. November 3, 2014 with a balance of $21,909,148. ALL YOU NEED IS A CHIP AND A PAIR? ever, a consumer watching the final table on ESPN at home has the chance to win $10 million too. refers to the winning player’s hole cards, plus the five community cards). hopefully, two lucky people will each win $10 million. chips and turn your munching into millions! WSOP: Was it crazy to you when you found out Newhouse had made the final table two years in a row? this has to be the biggest feat ever. what we’re looking at, so they might change it up. WSOP: How does your Main Event experience compare to the World Championship of foosball? thing coming up, I’m pretty shy. in something else besides poker. poker and more about foosball. That’s much easier and that part I don’t mind. of serious poker. How much has your game grown over the course of this tournament? 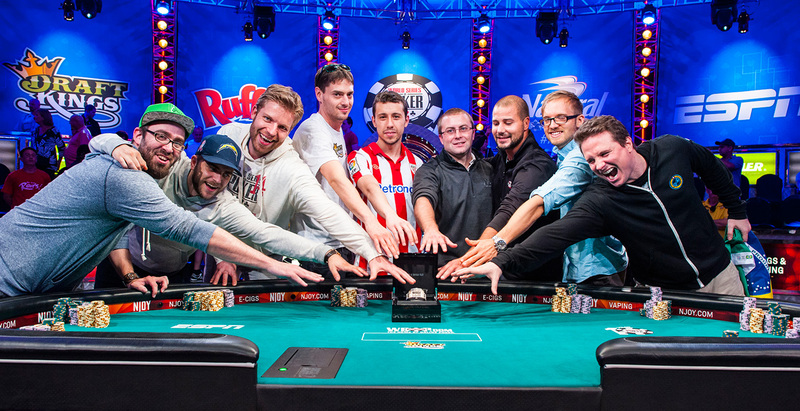 WSOP: At what point in the tournament did you start thinking the final table was in reach? WSOP: Is this your first event this year? Stephensen: Yes, this is my first event this year, second all-time. WSOP: What made you decide to come out and play the Main Event? something fun and the Main Event was right around the corner and here I am. WSOP: How long have you been playing poker? Stephensen: About three or four years professionally. 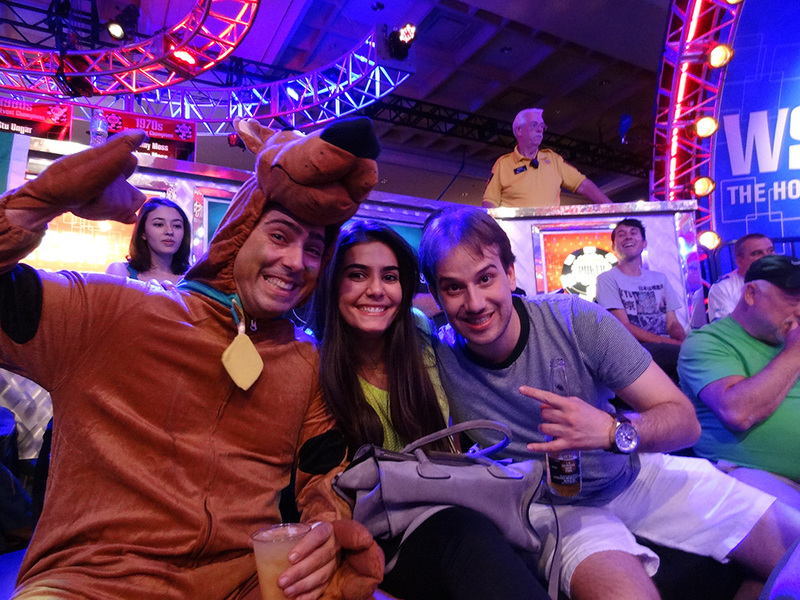 WSOP: Day 7 was pretty crazy for you as far as chips go. How were you feeling? and it was a pretty committing size with King-Queen. I went with it and nailed the flop. WSOP: How big of a sweat is it for you when the chips are in and the cards are flipped over? WSOP: How did you get your start in poker? head and heart into it and try to become the best I can be. WSOP: What would you do with $10 million? stuff like that. Try to be smart with some of it and have some fun with the other part. WSOP: What’s in store for you the next three months before the November Nine? under the gun with 10 big blinds. WSOP: Congratulations on making the November Nine! How do you feel at the moment? Van Hoof: I’m happier than I can possibly express right now. This is just amazing. WSOP: What do you expect the reaction will be to all this back in The Netherlands? Van Hoof: I think they will be very happy. We will see. Michiel Brummelhuis accomplished the feat in 2013. Do you know him? would hang out with him a lot and now I am humbled to follow in his footsteps. WSOP: What do you plan to do during the down time, especially preparing for the final table? been playing a lot of tournaments lately. I can definitely use some help to improve. WSOP: What would you do with the $10 million top prize? for sure. I will also play in some higher-limit poker games. WSOP: Tell us what happened on the final day of the summer session and how you got here. WSOP: What are the businesses you own? that sort of thing. I am really involved in that. It helps me, especially in poker. WSOP: What got you interested in poker? Van Hoof: I used to own a small store in Eindhoven that specialized in board games and magic. WSOP: What’s your daily life like back in Holland? WSOP: How does it feel to be standing here two years in a row? Newhouse: Truly amazing. I don’t want this to sound wrong, but I’m much calmer this year about it. I’m more focused now than I was before. stage to console him. Can you say what was said between you two? Newhouse: That’s the worst place to finish in the tournament, with all the hype leading up to it. Anything but ninth, that was my goal this year. WSOP: How have the experiences of 2013 and 2014 been different? and here I am – I made it. ‘greatest’ about anything with my name in it. WSOP: What about if you win in November? Newhouse: Okay, maybe then I’ll say it. WSOP: What made you decide to play the Main Event for the first time? break from school, and have been playing ever since. WSOP: What’s your daily life like away from the WSOP? poker circuit. Most of the time I’m in live action at the Commerce Casino in Los Angeles. WSOP: What was the turning point for you in this year’s Main Event? put me near the chip lead. WSOP: What does this achievement mean to you? any point, I play the final table, I could go out. pride in what you do in representing Spain? WSOP: You’re also the youngest at this final table. You’re 22, how did you get into poker? way I pay everything for myself and the way I spend most of my time. WSOP: You divide your time in Vegas and London? live in Vegas. I like to switch with those two cities. WSOP: So you don’t spend much time in Spain anymore? friends, but I’m not very attached to Spain either even though I love Spain. WSOP: When you return in November, will your family come with you and cheer you on? WSOP: During the down time, are you going to change what you’re doing? going to do anything that I haven’t been doing until now. were waiting for [Luis Velador] to call you? the strongest hand now for the final table. because I had enough to compare it with the shortest stacks. WSOP: How do feel about your November Niners? a row and it’s going to be tough. WSOP: How does it feel right now? to answer that question better. WSOP: Talk about what it means to be just on this stage, and in this moment. and the rest was just playing poker. WSOP: How much did that bubble weigh on your mind? ready to deal with it. WSOP: What would ten million dollars mean to you? What would you spend it on? in attendance here to cheer you on? WSOP: What made you decide to play the Main Event? just have to play in case something like this happens. WSOP: Is this the only tournament you’ve played this year? fun with my friends out in between, and over the last week, been doing this. WSOP: What originally sparked your interest in poker? How did you get in to it? what I like and what I’m good at, and it just kind of took off from there. WSOP: Now you got three months off, what are your plans? home and spending time with my family and my close friends, and starting to let the moment sink in. WSOP: How do you feel right now? WSOP: What did it feel like to watch the last card turn over? WSOP: You play golf, you play poker, what matches this? something special and to have everybody out here rooting and cheering for me. I love it. WSOP: How many Main Events have you played in? Sindelar: This is my seventh and first cash. WSOP: Was that frustrating the first six years…coming up short? it. I am not even going to think about it…keeping that behind me. have more people coming from Nebraska. I want to get a big cheering section. WSOP: Bigger than the Brazilian rail? Sindelar: [Laughs] No, never happening. I love the chants though, they’re good. WSOP: You have played with all of these guys for a while. What do you think of the final table? WSOP: What was the turning point for you in the Main Event? really a big pot at the time, and I never looked back. WSOP: You said you moved here six years ago to play poker. What were you doing before? pursue poker full time. I was doing well online and playing a little live, but more online. WSOP: If you could play only one, golf or poker, which one would it be? enough and could make it on tour I would choose golf. 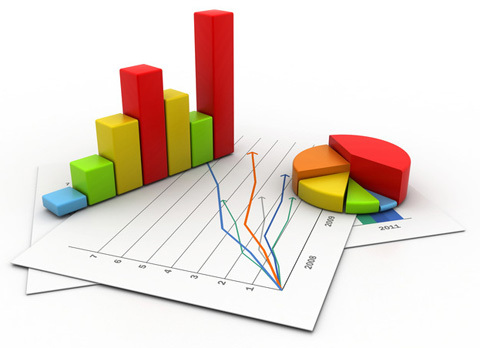 WSOP: What is your handicap? Sindelar: Like a five–long way to go there. WSOP: How many years have you played the Main Event? Jacobson: This was my seventh, I think. WSOP: What is your daily life is like when you’re not at the World Series? Jacobson: Mostly traveling the European Circuit. WSOP: Any non-poker plans between now and November? WSOP: How was the pressure of this versus any other tournament you’ve ever experienced? to not get emotional about it. WSOP: Are you feeling emotional right now? Jacobson: Not really, I feel kind of calm, I think I’m, I still haven’t realized what happened. WSOP: What would you do if you were to win $10 million dollars? Jacobson: I don’t know, I’ll figure something out. WSOP: Do you think you’re going to invest a lot of it back into poker? Jacobson: Yeah, I mean, if there’s another One Drop next year. mean, it must be going through your head all the time. WSOP: Are you going to do any preparation for November? Will you get coaching? definitely going to discuss a lot with my friends. WSOP: Are there any specific people you’re going to go to discuss hands with? Jacobson: Maybe, a few of my friends that made a deep run here. WSOP: How many (people) are going to be on your rail in November? Politano: I promise, more than 200. My Words: more than 200. 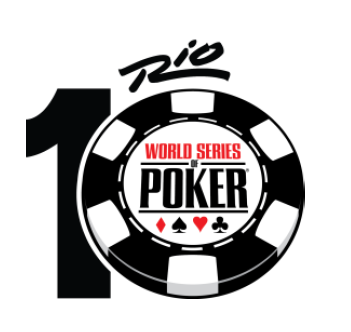 WSOP: What does it mean for Brazil? Politano: I don’t know…[laughs] really…I don’t know. WSOP: What are your plans for the next 4 months? WSOP: Are you going to travel around and do any tournaments? building. At any point, did you feel nervous that you wouldn’t make it? WSOP: Would you consider yourself a professional poker player? love poker…but now, maybe poker is my first profession. WSOP: What’s the first thing you buy [if you win]? driver Jason White, actor James Woods. Of the 6,683 unique players in the 2014 WSOP Main Event, 87 different nations were represented. Below details the list of countries, plus how many players from each country participated. WSOP gold bracelet valued at $500,000. vocation other than poker) – and seven of the last dozen years. a row for the pros. at the time of his victory. In 44 years of Main Event champions, a professional has won 29 times, or 66% of the time. used the Ace-King starting hand to outduel Martin Staszko’s 10-7 suited. was the losing hand once. Event champion, but Hellmuth made WSOP history at age 24 with this famous hand. all, completing his run to the record books with this historic hand. his first WSOP Main Event and his third WSOP bracelet. Cloutier’s all-in. Cloutier had Ace-Queen. pair of nines, and the 2000 WSOP Main Event victory. have become the only player to do it three times in a row if it wasn’t for a kid named Hellmuth. Seidel shoved all- in, and Chan quickly called after successfully trapped Seidel. considered the first amateur to ever win the WSOP Main Event. T.J. Cloutier, Crandall Addington and Puggy Pearson as the only players to accomplish that feat. Merson’s King-Five of diamonds bested Jesse Sylvia’s Queen-Jack of spades). in the 2013 Main Event. an incredible feat. In 2009, Jeff Shulman made his second Main Event final table in a decade. knows how hard it is to win it. Getting into the top 10% multiple times is an impressive feat. behind the leader, Berry Johnston. Through 2014 WSOP. Only WSOP results count towards this tabulation. payday awarded to a woman with $590,442 earned by each in 2012. • Barbara Enright is the only woman to ever make the WSOP Main Event Final Table. woman, outlasting 8,717 players during her 2006 run. • By percentages, Gaelle Baumann has the best record, finishing in the top .15% of the field. winner, Daniel Negreanu, had 71 events to compete in to qualify for the WSOP Player of the Year. Year. 62 open events at WSOP, with WSOP Asia-Pacific’s 10 events that were played in October, 2014. Las Vegas and WSOP Asia-Pacific. average ever. Meaning it is harder than ever to win one. history, the WSOP has now awarded in excess of two billion dollars — $2,067,890,481 to be exact! coveted prize…a WSOP bracelet and a share of more than $227 million in total prize money. Hold’em Championship, commonly referred to as the Main Event. the first 37 years of the WSOP combined ($530 million). of those with a dream and the determination to outmaneuver and outlast the competition. available to 300 million households.